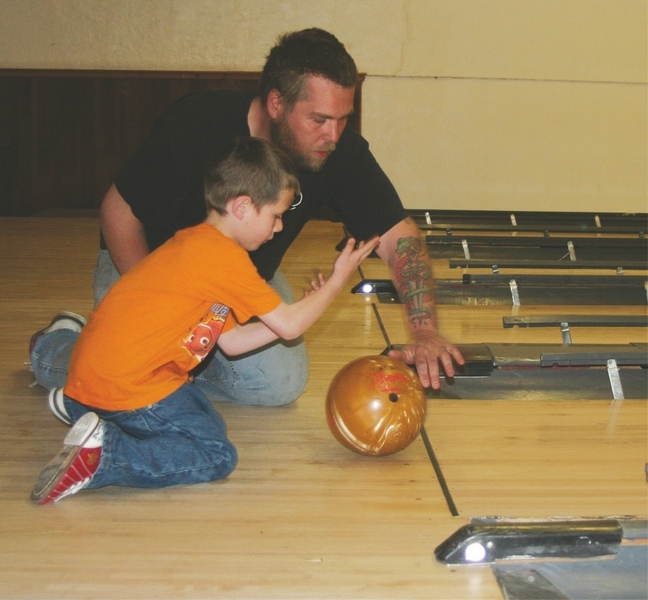 EVERYONE HAD A BALL: Incline Village Bowl hosted a BBBS event April 25. BBBSNC would like to thank Bowl Incline for hosting a group bowling party on April 25. A good number of Big Sisters, Big Brothers and their Little Sisters and Brothers (and their families) showed up to bowl and meet other matches in the program. Go online to http://www.sierrasun.com/BBBSNC to see a slideshow of photos from the bowling party. In addition, Bowl Incline has stepped up to become a partner in the BBBSNC Match Advantage program, which allows local businesses to offer discounts and low-cost activities to Bigs and Littles when they are spending time together. If your business is interested in supporting the youth of the Truckee-Tahoe community by participating in the Match Advantage program, please call (530) 587-7717. Have you ever thought about becoming a mentor to a local youth who could use a friend? 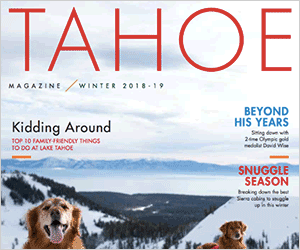 Do you know of any good men in the Truckee-Tahoe community who would make good role models? Big Brothers Big Sisters of Nevada County (BBBSNC) wants to hear from you! Becoming a Big Brother or Big Sister is easier than you might think. The only commitment is to spend time doing fun activities ” like hiking, biking, swimming, rafting, skiing/snowboarding, photography, etc. ” with a local child who could use a mentor. You get the satisfaction of making a difference in a child’s life and get to go out and play in this amazing place we live, as if you were a kid again! BBBSNC currently has a waiting list of 13 local boys who need a Big Brother. Please help us match these boys with caring local mentors. For more information about becoming a Big, call Truckee Case Manager Peggy Martin at (530) 587-7717. Or, if you’d like to hear first-hand what it’s like being a Big Brother, call Paul Raymore at (530) 550-2652. Register now for the Big Brothers Big Sisters of Nevada County Mountain Bike Endurance Ride, coming up May 16, 2009. There are two routes: The 50-mile route follows a beautiful loop out of Nevada City on local trails, including the incomparable South Yuba Trail. The route is comprised of approximately 80 percent single-track, 7,000+ feet of climbing, and stunning views of the South Yuba River. The 45-mile route is less demanding, but also follows some of the best trails in the area. The 45-mile route is perfect for riders who want to test their endurance, but are not quite ready for the technical challenges of the 50-mile route. Riders collect pledges in lieu of an entrance fee and have the goal of raising $250 each for Big Brothers Big Sisters of Nevada County. Riders can collect pledges in person, or online through an easy-to-use fundraising page for our agency. See http://www.bigsofnc.org for more details. The Friday Night Live mentoring program ” in which high school Bigs meet weekly with middle school Littles at Alder Creek Middle School ” wrapped up for the school year just before spring break. A total of 15 matches were made and some incredible relationships were formed between caring high school students and the middle school students they mentored. This year, the high school mentors took a lot of initiative in creating activities for the program, which is designed to help ease the transition of middle school students to high school and keep kids off drugs and alcohol. Big Brothers Big Sisters of Nevada County is a chapter of Big Brothers Big Sisters of America, a national non-profit agency dedicated to creating a volunteer base where every at risk child and youth who needs and wants a mentor can be matched with a Big Brother or Big Sister. BBBSNC recently expanded its mentoring programs to the Truckee and North Lake Tahoe region, including the communities of Kings Beach and Tahoe City. If you or someone you know would be interested in supporting our programs in the Truckee and North Lake Tahoe region by becoming a Big, participating on our Board of Directors, serving on our Truckee-Tahoe Fundraising Committee, or making a financial contribution, have them contact Executive Director Dena Valin at (530) 273-2227 or director@bigsofnc.org. For more information, please see http://www.bigsofnc.org.